If you want to enjoy the retro atmosphere of 1950s, the Japanese local and reasonable restaurant 「Izakaya」 is good. 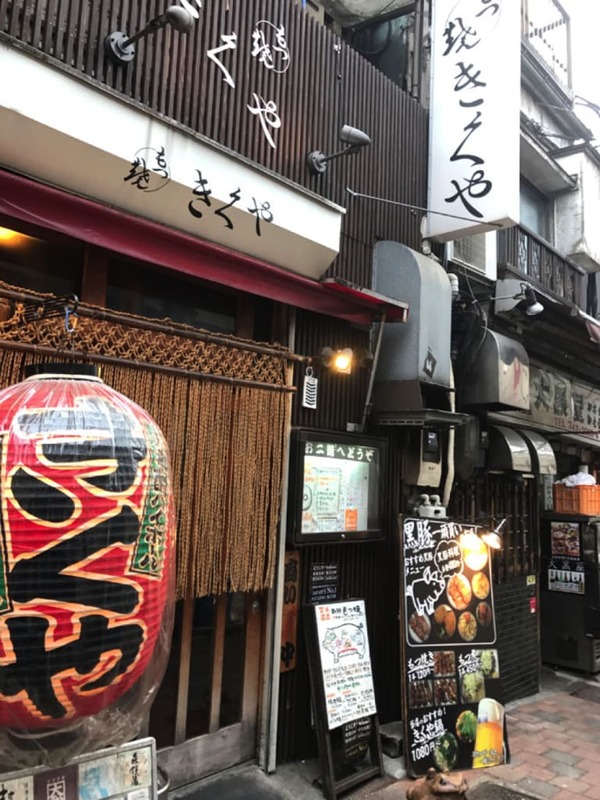 Today, we will introduce the recommended Izakaya – 「KIKUYA」 where we can enjoy original cocktail and grilled skewers in Tokyo・Shinjuku 「Shinjuku Nishiguchi Omoide-Yokocho」. 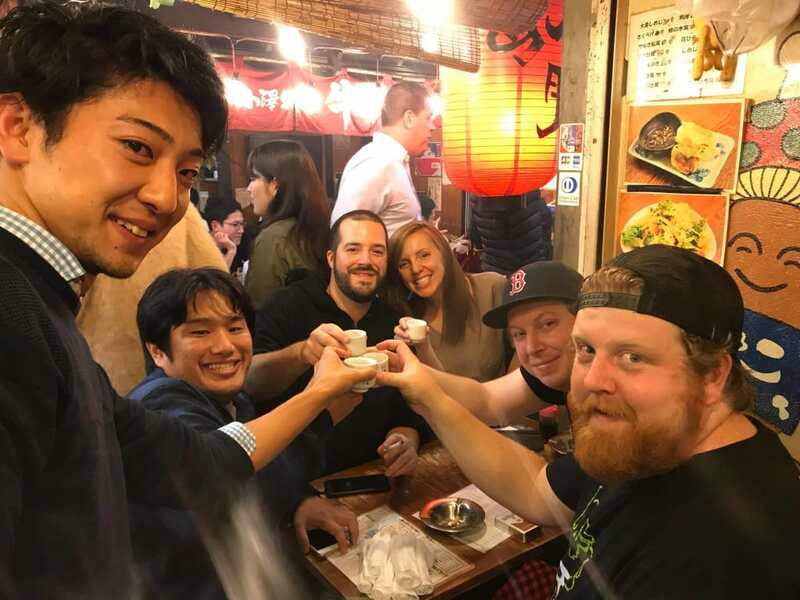 If you want to learn more about bar hopping in Shinjuku, check >> Top Five Izakaya Bars recommended at Shinjuku West Exit Omoide Yokocho. 「KIKUYA」 is the local and reasonable Izakaya located at Shinjuku Nishiguchi Omoide-Yokocho. There is 20 seats at first floor and 30 seats upstairs. KIKUYA is managed by kind-looking owner and has a very cozy-looking atmosphere. We can enjoy eating the old traditional Izakaya dishes like 「Motsuyaki」 that made by grilling cow and pig’s offal, and fried whale meat 「Geikatsu」 . The original cocktail 「KIKUYA original Chu-Highball」 that is said to be originated in this KIKUYA is also very popular. This cocktail is said to be the basis for Japanese original cocktail 「Chuhai」. There are also standard Sake like Shochu and beer, but we recommend you to have this original cocktail with dishes here. 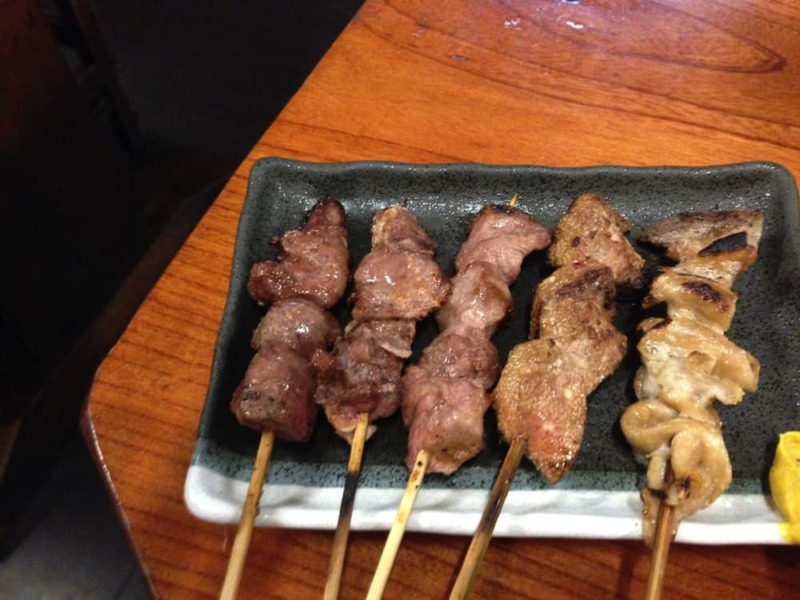 When you visit 「KIKUYA」 that has a specialty of Kushiyaki (grilled skewers) and Motsuyaki(grilled offal), please do not miss these specialty. There are several kinds of skewers dishes. In addition to Motsu, Yakiton (grilled pork skewers) and standard Yakitori (grilled chicken skewers). We can choose the flavoring from these 2, sold or original sauce. And Motsunikomi (innards stew) that the Umami is condensed in and has a strong flavor is very popular. These dishes is very good appetizers with carbonated alcohol like beer and Chu-highball. In addition, the whale meat dishes that is used to be a common line-up of the table in Japan is also recommendable. There are some way of cooking these meat dishes like Sasimi (raw), Stake (grilled) and Fry, please try everything. Access：1 min walk from D3 Exit of 「Shinjuku Nishiguchi Station」 on Toei-Oedo line. What’s the Shinjuku Nishiguchi Omoide- Yokocho? Shinjuku Nishiguchi Omoide-Yokocho has a roots in black market. A lot of Izakaya that serve us with good Sake and dishes is standing in a row, and has become popular sightseeing spot recently. 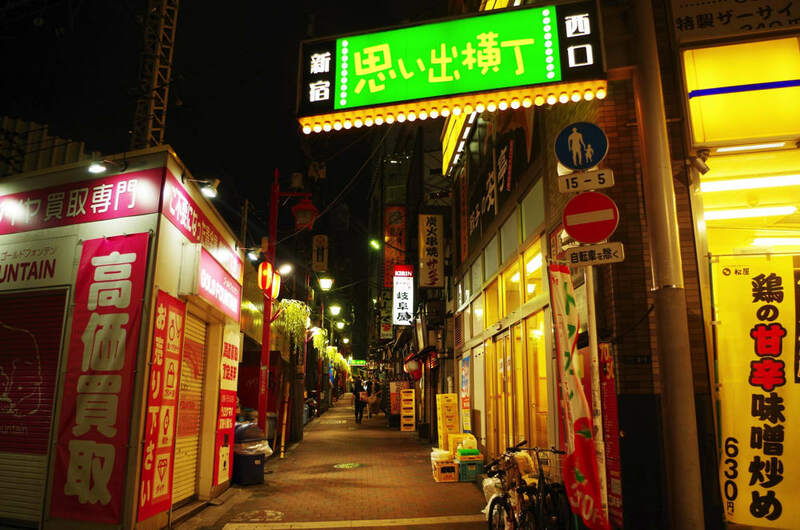 The way of enjoying this area is 「Hashigozake」, it means Bar-Hopping in English. If you love the bustling atmosphere, you could enjoy this local and reasonable area with sharing the good dishes with another customer drinking around you regardless of nationality and ethnicity. Here is a Recommended Way If You Want to try Hashigozake in Shinjuku. If you want to try Bar-Hopping in Shinjuku, we recommend a special Tokyo bar hopping night tour to you. 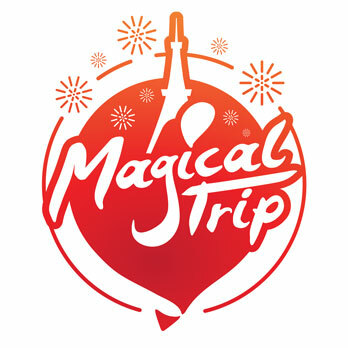 It is 3 hours tour and includes some bar hopping and English guide by Japanese tour conductor for about $70. Eating and drinking fee are included in it. It would be very reasonable and easy tour to enjoy Bar-Hopping.